In ancient Greece, Mount Olympus (also Mount Olympos) was the place of legends. It was the home of Zeus, the leader of the gods of Greek mythology and 11 more of his group of Olympian gods. The highest spot in Greece, Olympus is a high point for adventure in South Europe today. A collection of peaks, it offers hiking and free skiing or snowboarding. Many outdoor adventurers will be in the Mount Olympus region for a couple days while overnighting at one of five refuges that have beds or campsites available for a small fee. 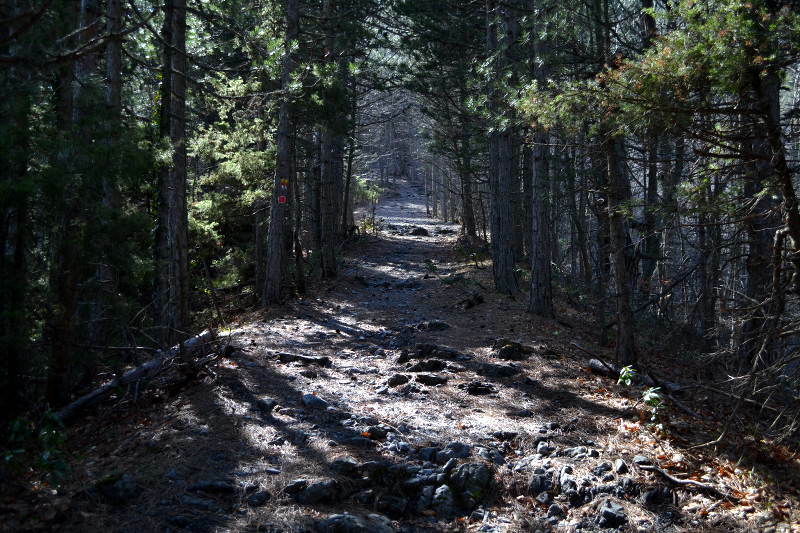 A moderate level of difficulty exists when summiting from Mytikas to the Skala Summit. This portion of the adventure earns a YDS (Yosemite Decimal System) class 3 rock scramble classification. While this does not require technical equipment, it does present some challenging mountaineering. recommendations: Most people begin their Mt. Olympus adventure coming from the town Litochoro. This is a good starting spot and a pleasant small town for getting a hot bite to eat or finding a bed in town for the night. Note that with the current Greek economic crisis, there are short periods of time when the electricity is shut off to the town. We learned the hard way that you cannot get money from any of the three ATMs when the power is off. Just plan to wait an hour or two if faced with this predicament and you should be fine. Better preparation is to make sure you have plenty of Euros in cash at the beginning of your time in Greece. 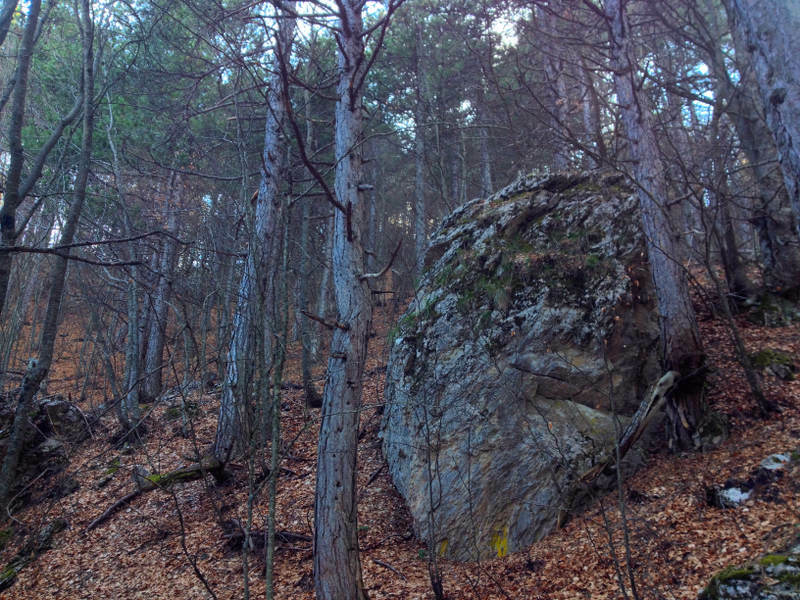 We did a day hike on the European path in E4, the Prionia Section. 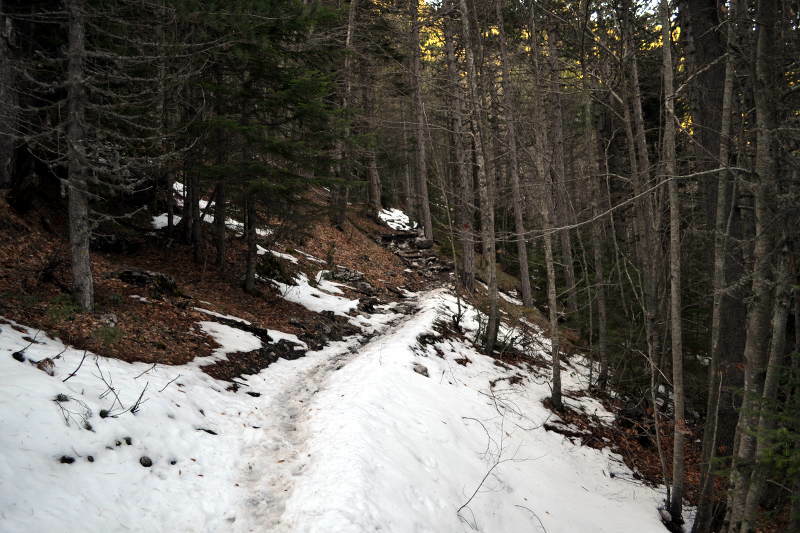 This offered a great family hike opportunity to ascend about 90 minutes to reach the snow line in March. We were in the vicinity of the Spilios Agapitos Refuge. When planning your outing to Mt. Olympus, check the weather in Litochoro. Then plan for the altitude and evening temps to drop some 20 or so degrees from there. notes: We will definitely plan to overnight next time and make it to the summit. The terrain and vegetation are interesting and the opportunity to adventure with friends and family is always appealing.